Originally published in The Seattle Times. As soon as I heard the sharp clicketyclack of my teacher's tap shoes on the floor, I was smitten. People look joyful when tap dancing for a reason. Dancing boosts energy. Add in the satisfying, rhythmic clicking sound that amplifies when people dance together, and even the least coordinated dancers will succumb to the joy of tap. I felt a little more concern than usual before my tap class. I knew it would be technical, and I lack a foundation beyond a few tap classes in college. Jumping into a class with people who had been dancing for the past six months felt bold. 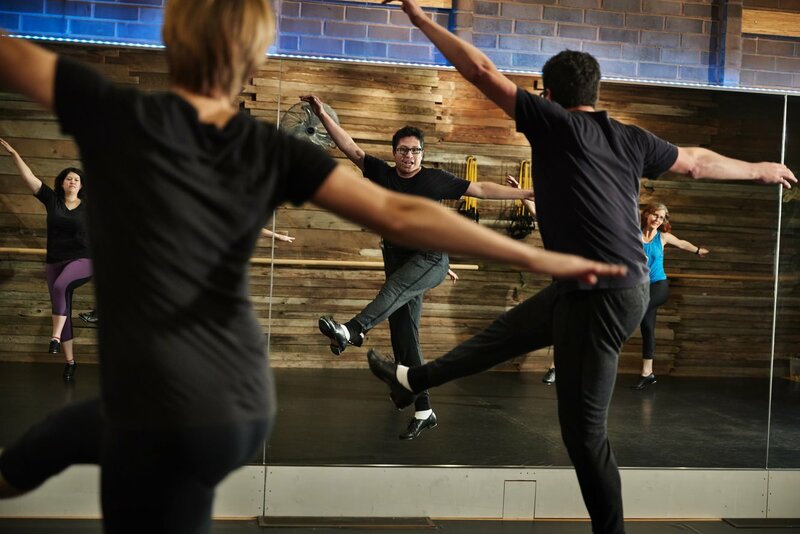 But teacher and studio owner Steven Oelrich seemed confident I would be OK in beginner tap at The Studio in Issaquah, so I borrowed some tap shoes and headed over. You can read the full story in The Seattle Times.